OAKtober is just around the corner- start planning now! Oaks represent strength and stature. In fact, the white oak is the Illinois State Tree! Majestic oaks create a sense of awe and wonder. These trees work for us by cleaning our air and water, reducing ambient air temperature and usage of energy. They reduce flooding and support our native wildlife. Our oaks, and trees in general, improve our well-being and support a sense of community. Every individual, organization, community, park district, forest preserve, and public or private landowner or manager can play an important role in celebrating oaks and oak ecosystems across Illinois throughout the month of October— OAKtober! So, how can you be part of OAKtober? Find out here. Do you need help coming up with an OAKtober event that is just right for your audience? Click here to browse some of the amazing events held in 2015 and 2016 by OAKtober- Illinois Oak Awareness Month partners, such as tree plantings, educational hikes, native plant sales, family festivals, acorn collections, and more! Are you building a case for planting and managing oaks in your community? Do you need help identifying your oak? Looking for advice on how to germinate an acorn? Just need a flyer template to help promote your OAKtober ebent? 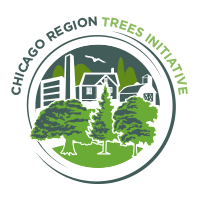 The Chicago Region Trees Initiative has compiled resources from our OAKtober partners, which can be found here.